Thanks to the Robert De Niro fan at ForYou.blogspot for the cool gif. More Meryl please. 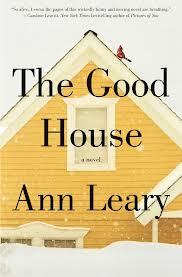 In addition to joining the cast of The Giver, EW reports Ms. Streep is scheduled to reunite with Robert De Niro in the screen adaptation of Ann Leary's bestseller The Good House. 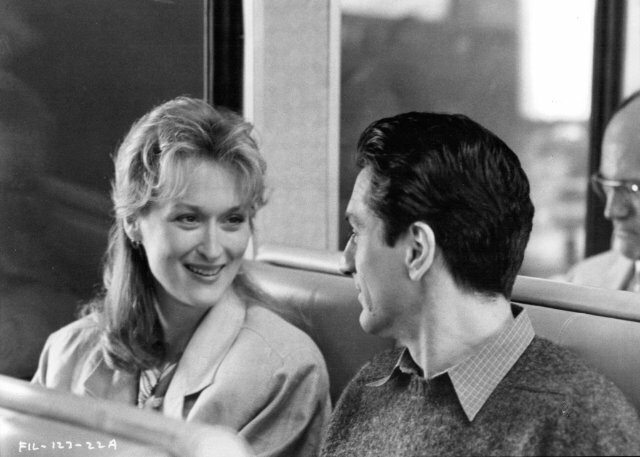 She'll play Hildy, the alchoholic realtor, De Niro plays Frank, the ex she reconnects with. The part of Rebecca, the new girl in town, hasn't been cast yet. Michael Cunningham is writing the adaptation; at this point there's no director attached. News when I know it but yum! Seeing these two coupled romantically again really appeals to me (as her coupling with Tommy Lee Jones did not). Their chemistry in their early years, so tangible in The Deer Hunter and the under-rated (imho) Falling in Love, is a given. But I really can't wait to see what additional layers these more mature maestros will bring to the work. Definitely one to watch for. SOunds like a winning team to me - 2 of my favorites and I loved the book. Hope you've been doing well Sim. I enjoyed the book and I'm sure Streep will do a great job as Hildy. I can't picture DeNiro as Frank, but he can pretty much do anything.